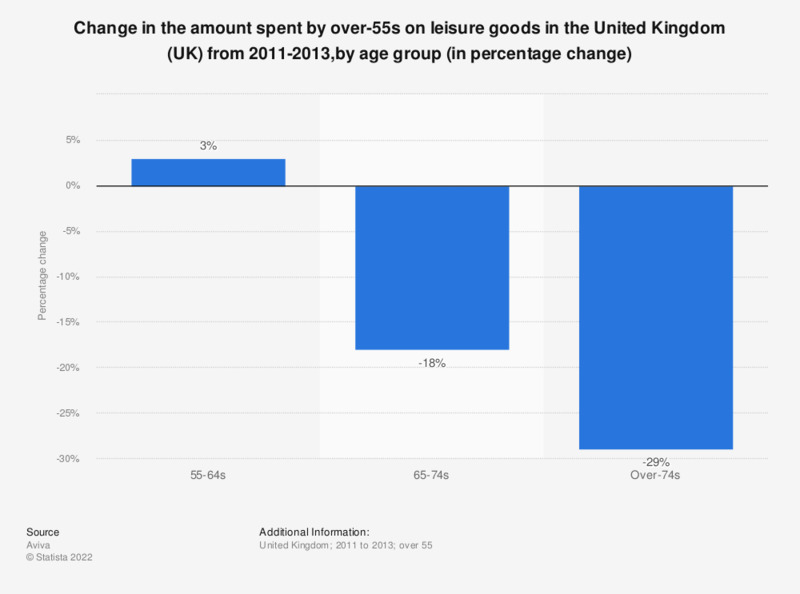 This statistic shows the change in the amount spent by over-55s on leisure goods in the United Kingdom (UK) from 2011 to 2013, by age group. In 2013, people between the ages of 55 and 64 spent 3 percent more on leisure goods than they had done in 2011. How much time per week do you spend practicing your hobbies at home (excluding multimedia)?